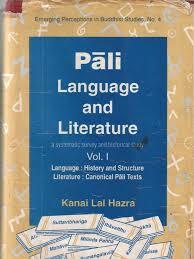 The study of Pali language is lagging behind in this fast developing modern way of e-learning. In order to bring it at a par with other subjects, Tummosoft plans to undertake an e-learning program for the Pali language. Through this program, we wish to develop e-learning softwares for Pali which can be made available to users through internet. Apart from this program, e-text versions of Pali texts would be Prepared. Such programs can help users to Learn a particular text simply with the help of a computer. Both these programs can give a big boost to Pali studies in India and abroad.